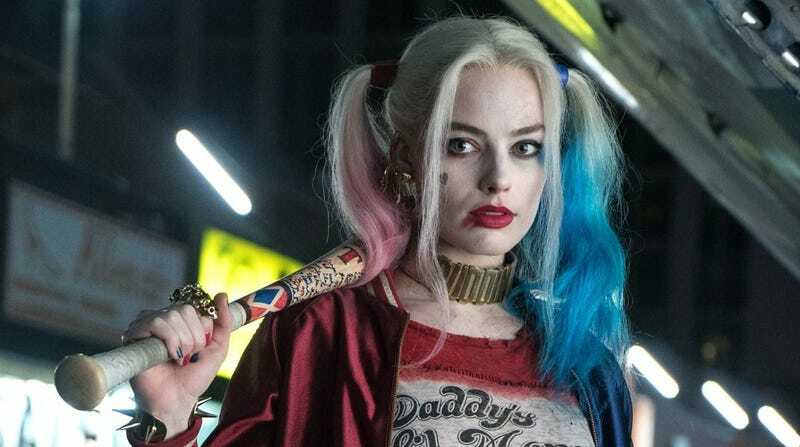 Remember way, way back when the word on the street was that Warner Bros.’ follow-up to Suicide Squad was going to be a Harley Quinn solo movie, but then that movie ended up being more of a Birds of Prey-focused story? Yeah, well Margot Robbie remembers, and she’d like to have a word. In celebration of the completion of the film’s script from Christina Hodson, Robbie took to her Instagram today to post a photo of it along with its new extended title, which now reads Birds of Prey (And the Fantabulous Emancipation of One Harley Quinn). The title’s more than a mouthful, but it points to at least part of the movie still focusing on Harley Quinn dealing with the aftermath of Suicide Squad—namely, the Joker more or less leaving her to die and or/be captured by Batman while he escaped. The toxic nature of Harley’s relationship is one of the things that made Suicide Squad so difficult to sit with, given how great Robbie’s performance was (despite being hamstrung by an overall awful script). Next time we see Ms. Quinn on the silver screen, she’ll be a free woman, folks. Birds of Prey (And the Fantabulous Emancipation of One Harley Quinn) also stars Mary Elizabeth Winstead, Jurnee Smollett-Bell, Rosie Perez, Ewan McGregor, and newcomer Ella Jay Basco, and is currently set for a February 7, 2020 release.